It is widely know that each cell cycle during DNA replication some fraction of the telomeres is lost, and this phenomenon is called the end replication problem. Well this is due to the fact that the DNA polymerase only adds nucleotides in 5´--> 3´ direction, thus the synthesis of one of the two DNA strands will need some RNA primers for its polymerization (and DNA polymerase will replicate DNA in a "jumping" pattern). 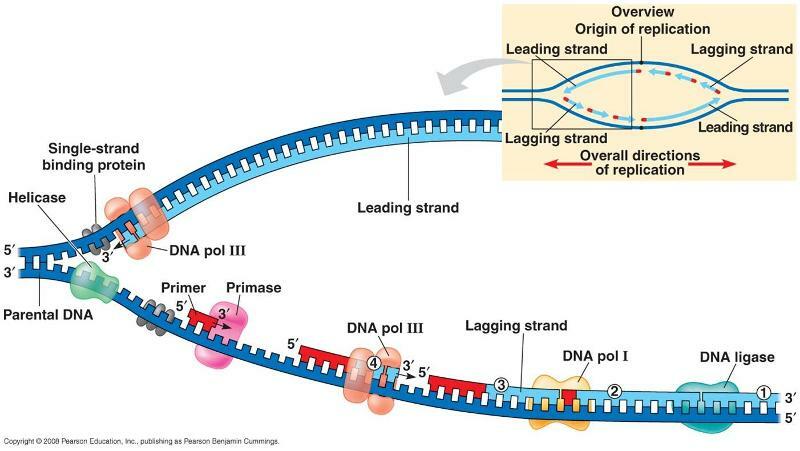 Then, in the very end of the synthesis of this strand (called lagging strand) one last fraction will not be copied from the template as even if the last primer is set in the very end of the chromosome, once this RNA is degraded a void space is going o remain invisible for DNA polymerase. In replication, both the chromosomal halves (which are simultaneously threaded through the replication complex) have a lagging and a leading strand. A part of the segment will be replicated as leading and a part as lagging. Not the answer you're looking for? Browse other questions tagged dna molecular-genetics telomere replication or ask your own question. Hi, im trying make a work about Hayflick limit, and I have a question about the DNA replication.